MILAN — Jordan is an Arab country that has always been a welcoming icona for millions of refugees fleeing from the Middle Eastern war table. The Arab country has a population of around 10 million, of which 4 million are refugees escaped from unsustainable war situations from neighboring countries such as Syria, Egypt and Iraq. The hard social situation that this fact has created over the years, together with the bad economy of continuous precariousness, makes the life of refugees in Jordan a life of misery, difficulty and rare opportunities for redemption. Caritas Jordan is an NGO that has always struggled to give hope to this people of desperate. The non-profit organization counts on a staff of 500 employees and volunteers, 20 offices located throughout the country, an amount of funding and donations of about 20 million a year. The activities of Caritas Jordan are the most varied, from medical and health assistance in the numerous refugee centres to the management of a canteen in the capital Amman where daily more than 250 meals are distributed free of charge and during the Ramadan period are delivered more than 1000 dinners a day. In this panorama full of contradictions and difficulties Caritas Jordan together with the Italian NGO Umami Area and the German NGO Starkmacher have started a long-term collaborative project co-financed by the German Ministry of Foreign Affairs in order to promote youth empowerment and professional training in the coffee field. The aim of this project is to enable young volunteers and refugees to create new job opportunities through new business models in the coffee sector following the international specialty coffee movement. 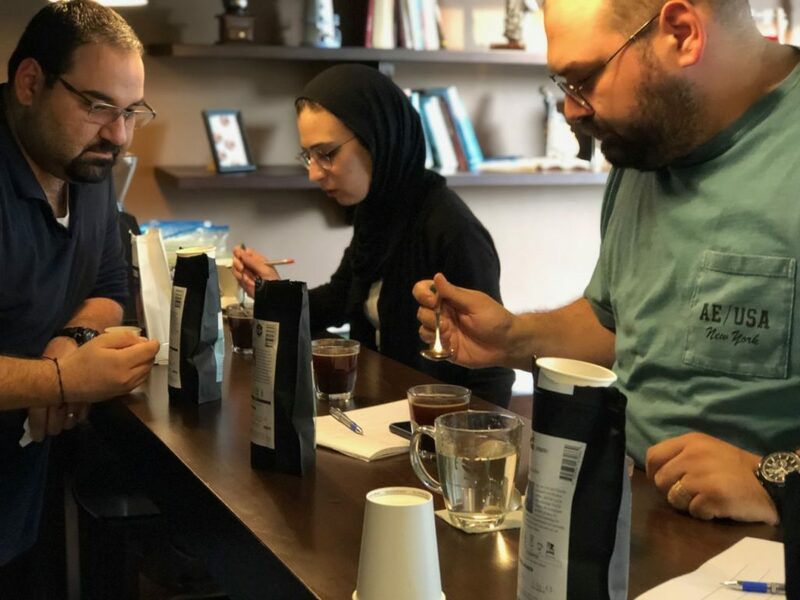 On 4-5-6 December, some young people from Jordan met to take part in a Coffee Campus to explore the issues related to the coffee world and the Business Model Canvas inspired by it. During this exclusive campus the SCA – Specialty Coffee Association’s Coffee Skills Program found its place with the introduction to coffee, coffee roasting, sensory skills, barista skills and brewing modules. The first training session of this project was held in Mannheim – Germany from 15 to 19 October 2018 followed by this second appointment in Amman. The training’s objectives translate into new job opportunities, a better quality of work and a new recognition of youth work and non-formal learning, thus improving complementarity with other educational systems. 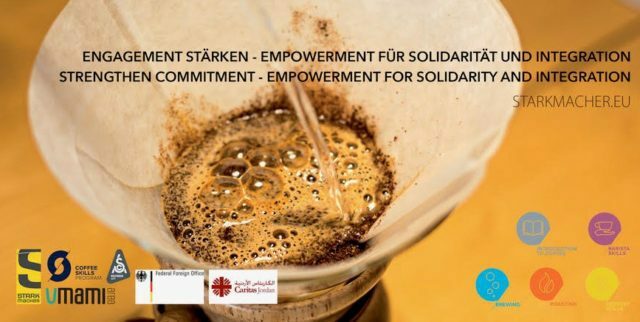 The Coffee Campus is part of a long collaboration between the German NGO Starkmacher and Caritas Jordan in the Empowerment for Solidarity and Integration Project co-funded by the German Ministry of Foreign Affairs. 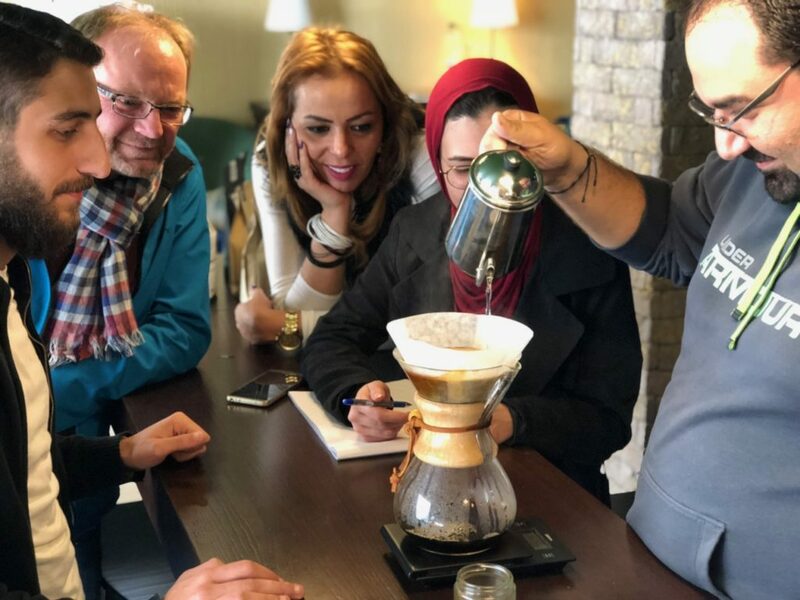 Amman – Jordan December 4, 2018 – barista skills, espresso machine and coffee grinding for espresso, how to extract the best espresso, how to froth milk for cappuccino, the basic technique of latte art, equipment maintenance. 5 December 2018 – BUSINESS MODEL CANVAS applied to the coffee sector, how to set up a new innovative business project: strategy, human resources, financing, marketing and leadership; building blocks of the Business Model Canvas, Business Model Canvas Best Practices and case histories, practical workshops; coffee roasting and technical coffee tasting with the SCA protocol. 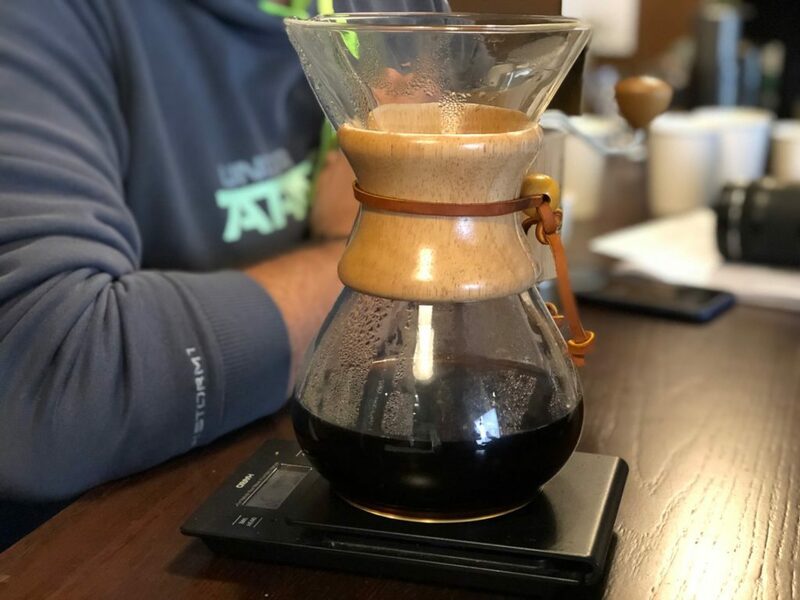 6 December 2018 – Coffee and Business: challenges of the Jordan’s coffee market, how to build a business model, the knowledge and skills necessary for starting up and running a social enterprise, a practical seminar. Filter and pour over methods.